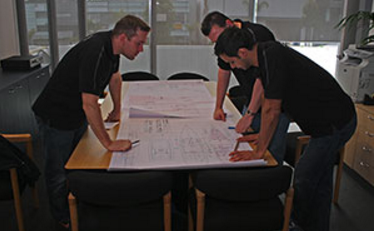 Following a needs assessment, estimating and value engineering study, we’ll determine a cost-effective budget. Our in–house specialists will create connectivity and block diagrams, facility plans, technical drawings and other necessary documentation. Few audio/visual design/build firms boast an in-house programming department. At Liquid Automation, we create our own macros and write custom code so your audio visual devices and GUI’s are intuitive and user-friendly. Our own programming department means we can expedite the tailored solutions that have built our reputation for design/build excellence for all of your Home Automation needs. We will acquire the equipment best suited to your needs. We then assemble the equipment racks and wire for testing in our own facilities. This carefully choreographed scenario minimises on-site delays and delivers documentation and a system primed and ready for a smooth installation. Once you’re totally satisfied and sign off on the installation, we will train you and/or your staff (if relevant) and provide you with operation manuals and a handy, quick-start reference guide. Liquid Automation stands behind our design/build projects from end-to-end. Liquid Automation provides system warranty from commissioning for a full year, even if the manufacturers warranty calls for a shorter duration. 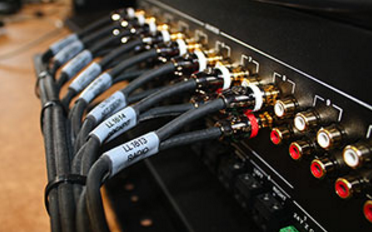 Our CEDIA qualified professional and technical installers manage the on-site equipment installation and video calibration processes. Following installation, our specialists will test your system end-to-end to assure it meets manufacturer specifications and operates as it was designed to.